We look at developments in the West during the 8th century. We follow the rise of the Carolingians and the amazing career of Charlemagne. We also see the various dilemma faced by the Papacy and how the collapse of Byzantine influence created a new power dynamic. Thanks for answering my question 🙂 It’s so exciting every time I see you’ve posted a new episode! i have a question. how come Brittany is always left alone . it seems every century there doing there own thing as if these huge kingdoms were afraid of peninsulas or something. specifically why didnt Clovis or Charlemagne conquer it? or did they try to ? or? From what I’ve read the people of Brittany, and the Breton marches where more or less contained. The region of Brittany was mainly settled in the 5th century CE by persons from “England”. As the Franks ran into them it was more to keep them at arms length than to do much else with them. Conquest and integration never worked. In Carolingian times various regional lords were named ‘counts of the Breton March’ so they maintained the border in a sense. 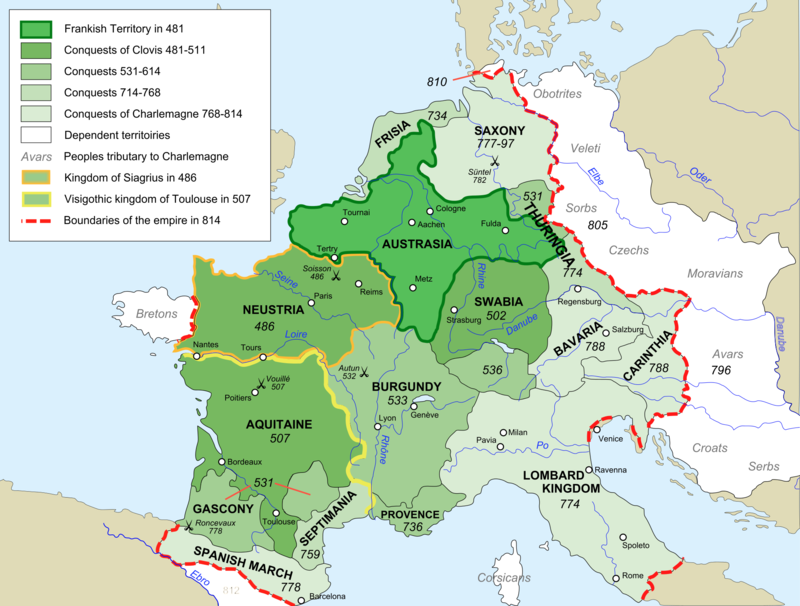 Frankish (Merovingian and Carolingian) Neustria was the closest region to Brittany, but the Merovingian “world” in that sense was to the south with Aquitaine & Burgundy, and east with Austrasia.